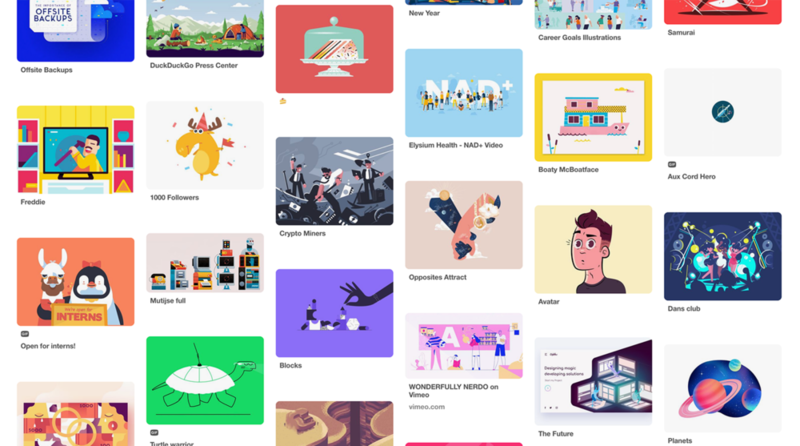 In the first part of this blog post series on finding and using inspiration, we talked in length about finding and growing your inspiration library. Today we’re going to discuss how to use your inspiration to help grow your skills (drawing, illustration, animation, etc.). The first thing that I will talk about, some people may not like but its the critical part to the whole thing. That is that you should always start by copying what you’re seeing, taking elements from your inspiration and trying to recreate them. Now, here’s a major major disclaimer here, I’m not talking about stealing what someone else has created. NO! Please never take credit for something someone else has created. Instead, what I’m saying is to copy what you’re seeing for yourself, don’t share it on social media or sell it as your own creation to a client. What you’re going to do instead is you’re going to, for example, start off by copying the way one illustrator draws a few faces. Just to get a feel for how she created the illustration in the first place. This could be either with pencil and paper or digitally using Adobe Illustrator. The whole purpose of this is just to figure out the mechanics of how she created her illustration, basically you’re deconstructing it. Once you’ve copied something, then you’re going to start playing around with it, start experimenting with different things you’d like to do different or with things you’d like to add to it. This is where you become somewhat of a mad scientist and you start to break away from what you copied. The object here isn’t to alter the copied illustration to making it your own but just to see how you could create your own illustration inspired by what she did. Usually I would do this a few times to see what I could create, then after I was feeling a bit confident I would start to draw my own creations borrowing certain elements from the original source of inspiration. Maybe I borrowed the way she created her eyes, or maybe the way she oriented a big head on a tiny body. The important thing is that when someone looks at what I created they don’t see a copy or a stolen illustration. What they instead see is my own unique illustration. Now this can definitely be very confusing for people to understand. I’m sure you’re thinking “But Rocky, am I not stealing something from the inspiration that I’m using?” My answer to that is everyone steals a bit of something from what we interact with or what we observe. Pablo Picasso is even quoted as saying something along the lines of “Good Artists borrow and Great Artists Steal”. Remember, what we’re talking about here is growing your skillset and getting better at what ever it is you’re wanting to do. The more you do exercises like this the better your natural talents will come to the service and the better your eye will be at detecting the correct route to go whether its figuring out how to draw a new character, how the animation should run on a GIF, or how best to create the right hierarchy on your client’s new website. Now, next time we’ll cover more about how to develop your own style, with the knowledge you’ve obtained from using your inspiration to grow your skillset. How Much Should I Budget for Illustrations?